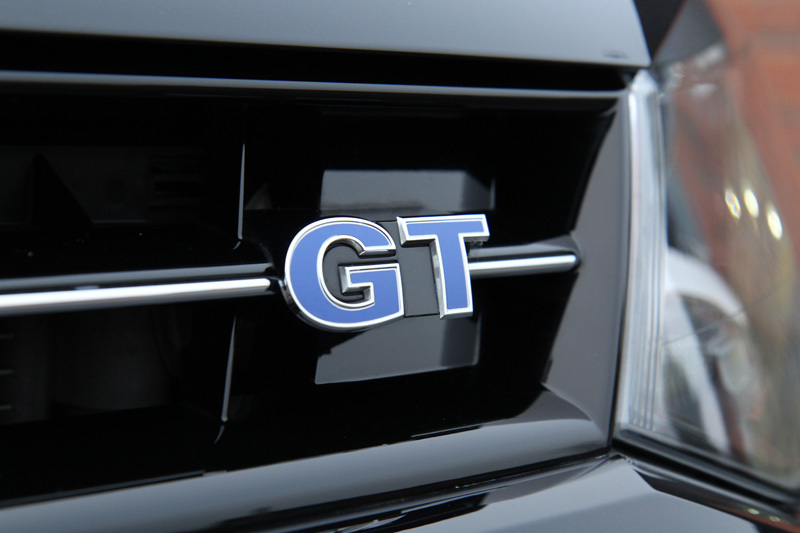 The Volkswagen Polo BlueGT is VW’s attempt at combining superb fuel economy with a jaunty ride. It uses the same four-cylinder engine as can be found in the Mk7 Golf, but as the Polo is lighter, the small 1.4-litre turbo engine does feel remarkably punchy. 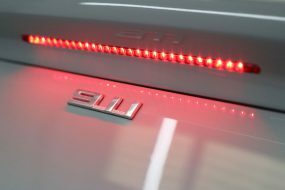 Clever technology means the engine automatically switches between running on four cylinders and only using two, hence the fuel economy. So, the result is a 0-62 mph in 7.9 seconds hatchback with a posted fuel economy of 62 mpg. If you’re looking for something rather ‘whizzier’ than the standard offerings for a car of this class, you’d be hard pushed to find an alternative that matches this in terms of how much fun it is to drive! In May of last year, a customer delivered his Mercedes-AMG A45 to UF’s Brands Hatch detailing studio for a New Car Protection Treatment. Even though the car was brand new, the paintwork was quite badly damaged and so required far more corrective work than was expected. 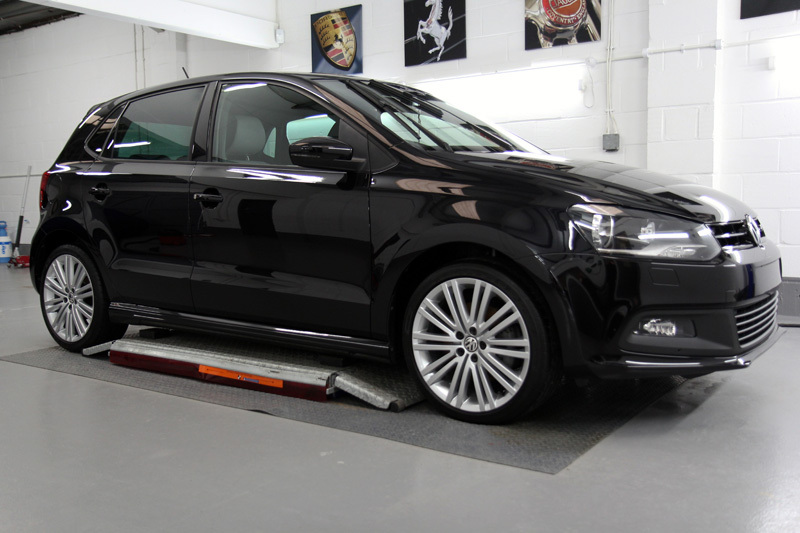 He was so impressed with the final results that he arranged for his wife’s VW Polo BlueGT to visit the studio for what turned out to be a hefty dose of paint correction. And, at the same time, the A45 was booked in for an annual inspection, maintenance wash and sealant top-up using Gtechniq’s recently released EXO v3. The Polo GT was first decontaminated using non-contact methods: Nanolex Wheel Cleaner & Iron Contamination Remover was used on the bodywork and wheels to eliminate brake dust build-up. A solution of Bilt-Hamber Surfex HD was used as a degreasing agent to remove diesel and petrol splatters along with oily grime. 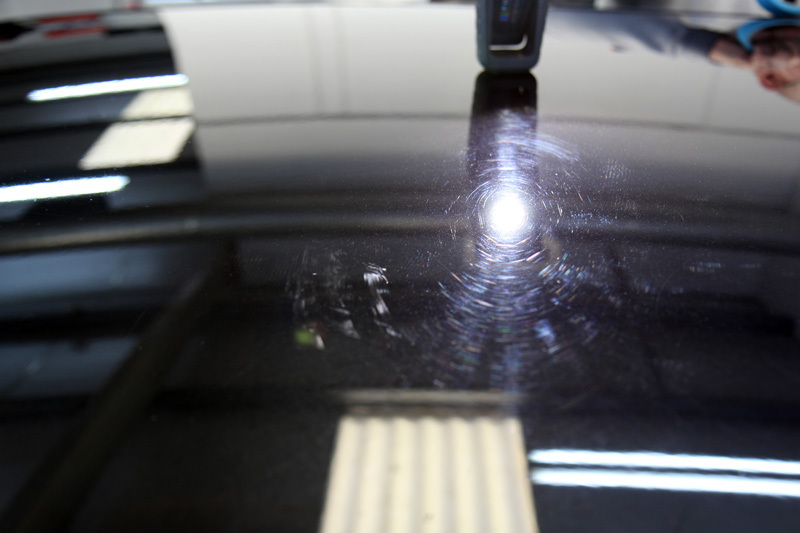 As there was a significant amount of tree sap on the paintwork, Gtechniq W7 Tar & Glue Remover was used in an effort to dissolve the sticky bonds, however, it quickly became apparent that this alone would not be sufficient to remove the droplets as they had become embedded into the clear coat. 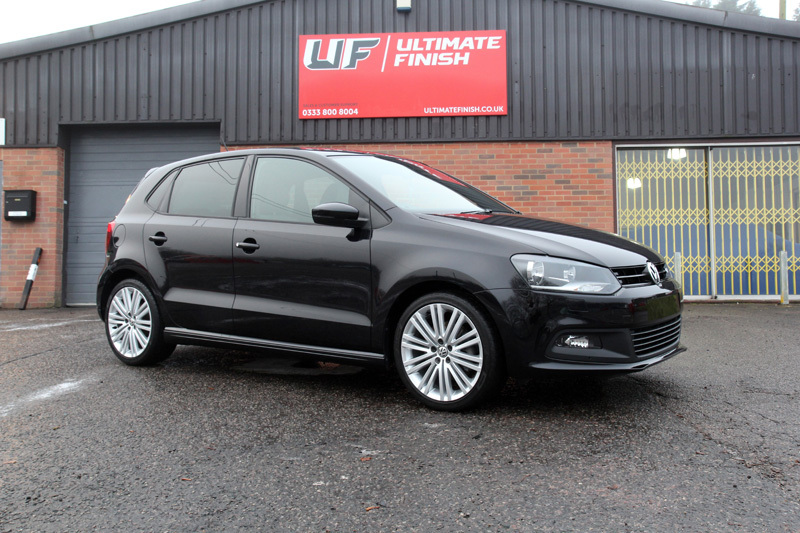 The Polo GT was treated with Ultimate Snow Foam to remove larger particles of dirt and grit and then a second treatment used as a lubricant for a clay mitt. 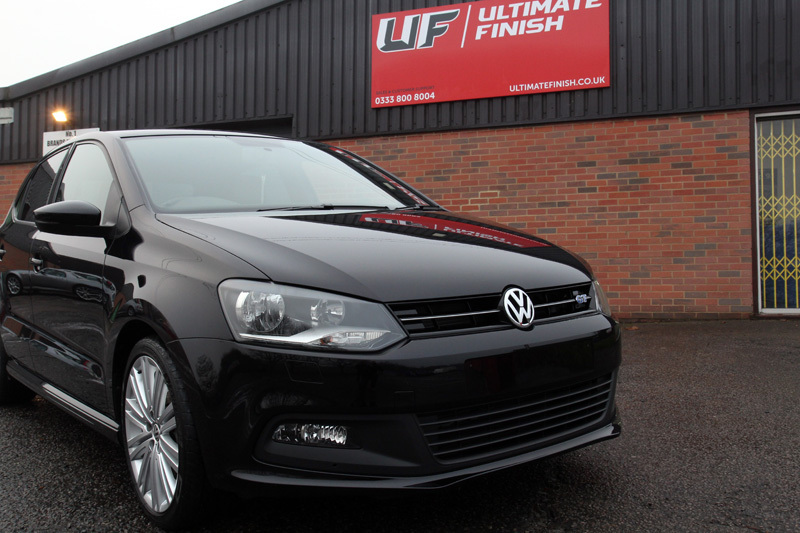 With the Polo decontaminated, washed, dried and the tree sap removed, the underlying condition of the paintwork could be inspected under high-intensity lighting. 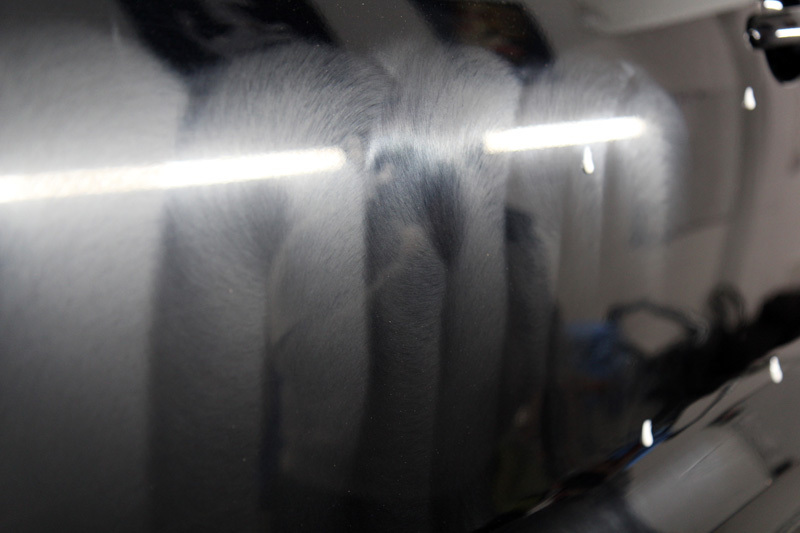 Although it was originally a deep pearlescent black, the paint had a proliferation of swirls, random deep scratches (RDS) and oxidation that had given it a greyish appearance. German legislation surrounding waste water disposal is strict, so washing a vehicle on the driveway is prohibited. 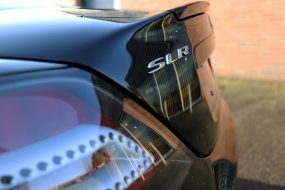 As a result, car owners frequently use mechanical wash stations which can have a devastating effect, putting swirls and scratches into paintwork quickly. 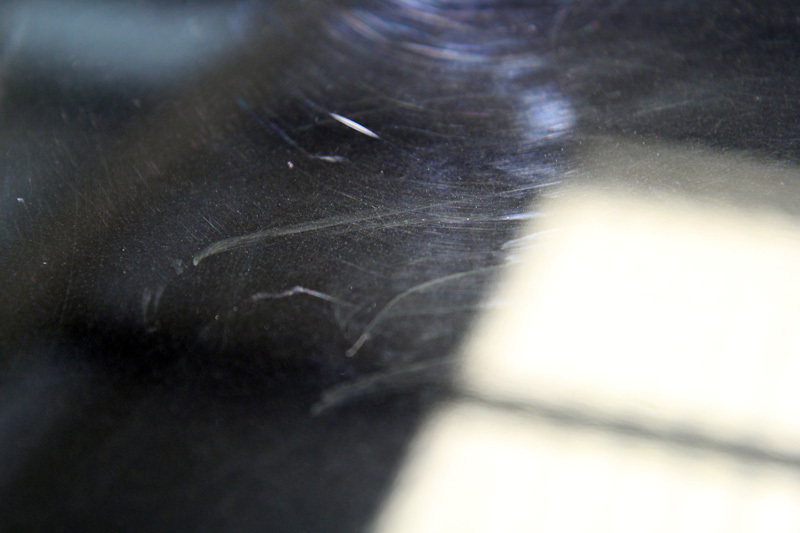 As a result, many German manufacturers including VW have developed scratch-resistant clear coats. 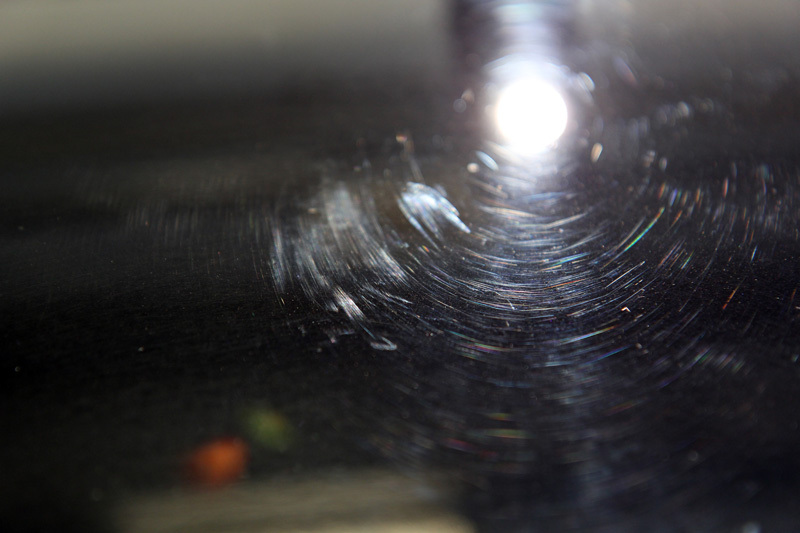 Subsequently, this has to be taken into account when selecting compounds and pads for the machine polishing process. Menzerna is a product range developed with European paintwork in mind, so to correct the damage on the Polo, Menzerna Heavy Cut Compound 400 was used on a RUPES Medium Green Polishing Pad. 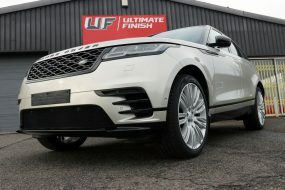 Using a combination of a RUPES LHR 12E Duetto and a RUPES LHR 75E Mini dual action polishers, both at a very high speed, the paintwork was corrected. Each panel took at least two passes to correct. The Duetto and the Mini have smaller throws than standard dual action polishers and this concentrates the heat build-up more effectively. It also allows for more effective machine polishing of smaller or contoured areas, such as along door pillars or around the wings. 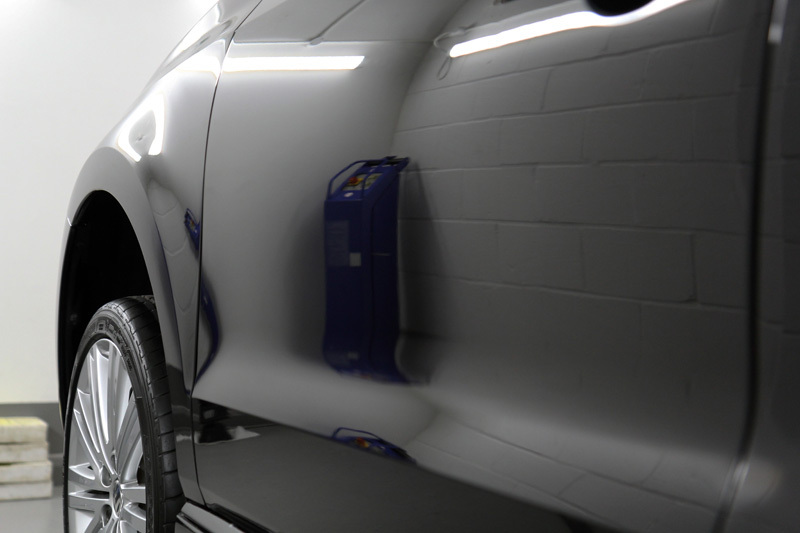 Refining the paintwork was completed out using a FLEX PE14-2 Rotary Polisher on the slowest speed, with a 3M PERFECT-IT III Black Polishing Pad and Menzerna Super Finish Plus 3800. 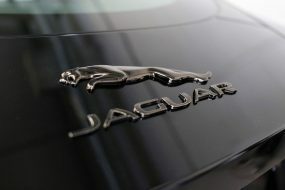 The soft pad, the slower speed and the fine jeweling polish brought the high gloss back to the metallic black paintwork. Once the paintwork had been restored, Kamikaze Collection’s new ISM PRO Hydrocarbon Coating was applied to protect it and to ensure it remained in good condition. In order to maximise performance, this coating must be applied in tightly controlled environmental conditions and a strict application protocol must be followed. 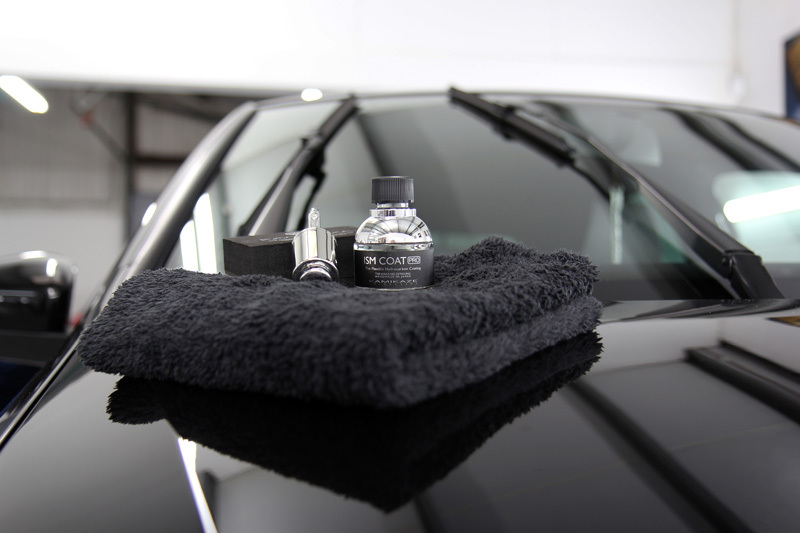 As a result, detailers must receive specialist training and accreditation from Kamikaze Collection in order to provide this service. 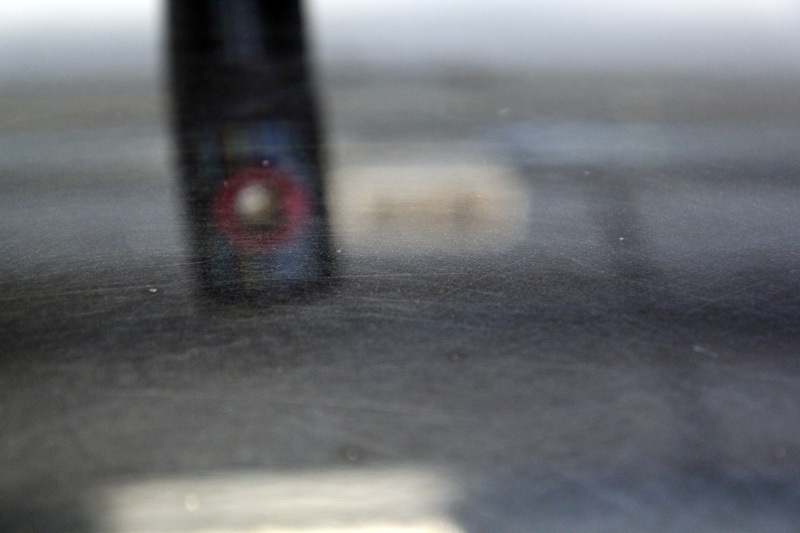 ISM PRO delivers a high level of hydrophobicity which encourages dirt and water to slide off the surfaces as well as an extreme, candy-gloss shine. The windows were coated using Kamikaze Collection Intenso Window Coat with hydrophobic properties which encourage rainwater to roll away from the surface. 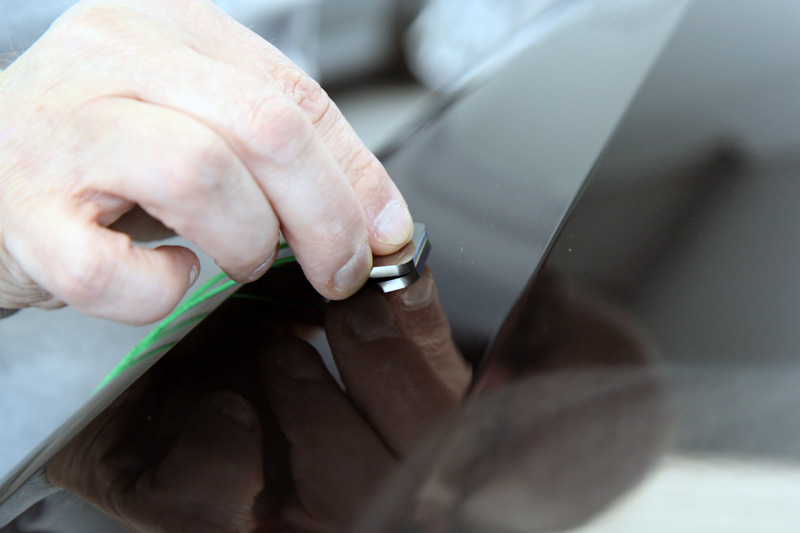 The slickness of the coating prevents the wiper judder usually associated with window protection coatings and one application can last up to a year. To protect the wheels, Kamikaze Collection Stance Rim Coat was applied. 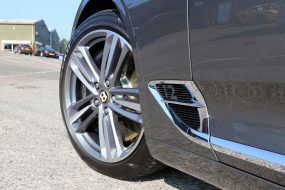 Highly heat resistant, it forms a strong chemical bond with the wheel and is virtually impervious to extremes of pH, so road chemicals and harsh wash chemicals will not penetrate the coating. Alloy wheels stay cleaner for longer and are easier to maintain during the weekly wash. 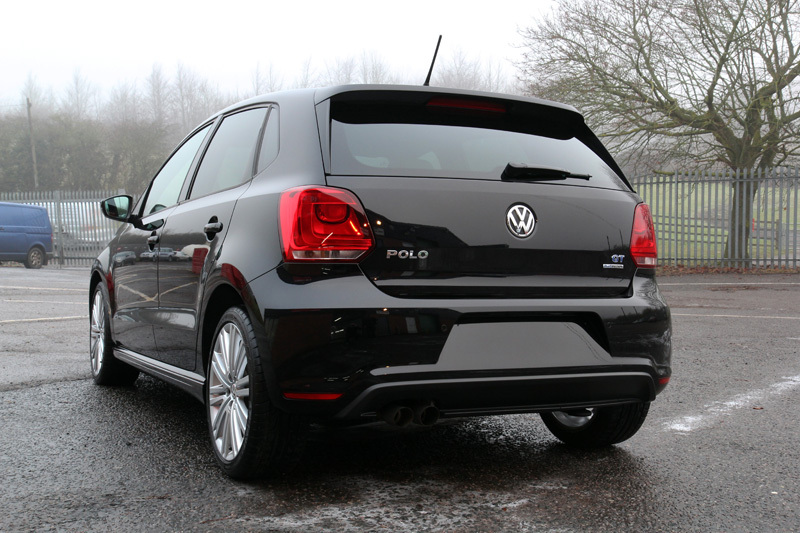 When the customer arrived to collect the Polo GT he was once again, amazed by the transformation, exclaiming that it was hard to believe it was the same car. The time it had been with UF was definitely time well spent! You can read about the original New Car Protection treatment carried out on the Mercedes-AMG A45 in May 2106 here.